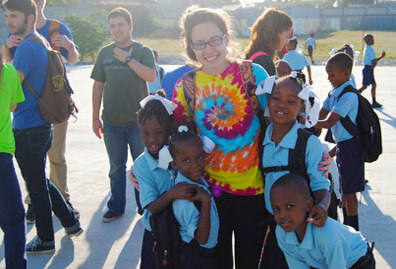 At Manhattan, community service isn’t just something we advertise. It’s in our Lasallian Catholic heritage, and it’s what our most socially active students are doing on weekends, after class and during school breaks. 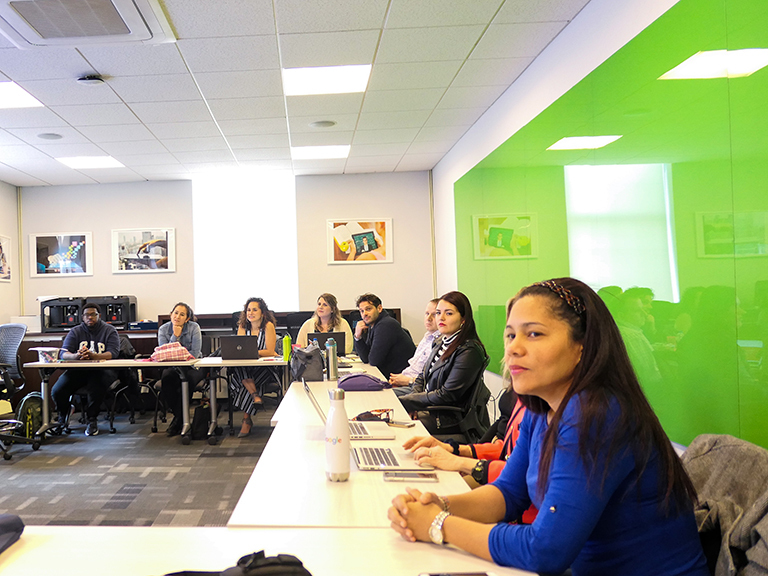 Through community-engaged learning programs like LOCo: Lasallian Outreach Collaborative and L.O.V.E., they’re learning about the Bronx and New York City, the U.S., and spending time in other countries. They’re also contributing to large-scale disaster relief efforts. Enter practically any building on campus behind a Jasper, and they’re probably holding the door for you. This small but kind gesture perfectly represents who we are as Lasallians—modest, thoughtful, welcoming and considerate. Dining halls such as Locke’s Loft and Cafe 1853 serve gluten free, kosher, vegan, vegetarian and allergy-friendly food options. And neither Dining Dollars nor Jasper Dollars expire throughout the academic school year, meaning that whatever you don’t use in the fall will remain on your Jasper Card in the spring. Also, Starbucks. 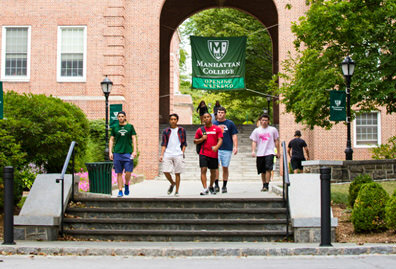 Off-campus, local restaurants and eateries like Best Deli, Chipotle and Garden Gourmet give Manhattan College discounts. College can feel stressful, and it's sometimes difficult to carve out “me” time. Take a few minutes to relax and regroup in the Multicultural Center or Cornerstone. A meditation room is also available to Horan Hall residents. 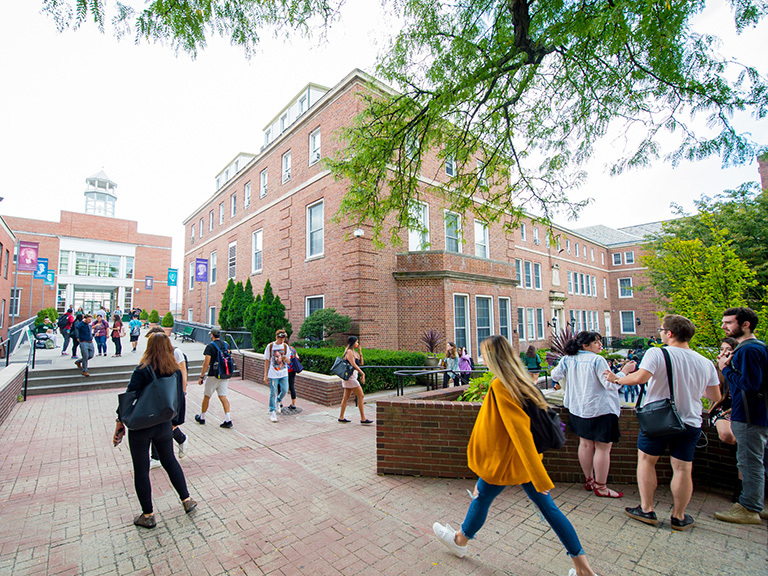 These designated areas may also be especially valuable to commuter students seeking out places to take a break between classes or before leaving campus for the day. More than 75% of students live on campus their first year, and each one has a different experience. For instance, living in Jasper and Chrysostom (i.e. C-Block) comes with an open-door, communal living atmosphere, whereas Horan and Lee Halls have lounges perfect for study group and club meetings. Meanwhile, upperclassmen living in Overlook Manor enjoy apartment-style living complete with full kitchen amenities. Learn more and see photos of our residence halls. Jasper life equals New York City life, with the No. 1 train at 242nd Street just steps away from campus. Hop on the subway for internships, jobs, theater productions and other events that are put on by the office of Student Engagement. Because cheap Broadway tickets and New York Yankees game discounts are always nice. 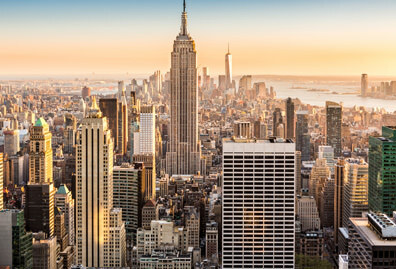 In the Arches first-year experience program, students on a budget see New York before school even starts; after moving in early, you’ll head downtown for excursions throughout the first week. We’re a Division I school, which means we have a thriving and talented sports program that we proudly support on and off the field. At different college basketball games throughout the school year, you’ll find us donning our Jasper green and displaying our school spirit alongside the Pep Band and Jasper Dancers, who perform at home games in Draddy Gymnasium. Each year, these student clubs headline Manhattan Madness, our inaugural pep rally held prior to the men’s and women’s basketball season. #JasperNation! There are so many ways to get involved on campus, and oftentimes, our student clubs and organizations collaborate on hosting events. So whether you’re interested in green living, dancing or something else, odds are you’ll find kindred spirits at the College’s biannual club and engagement fair, which showcases the many ways to get involved at Manhattan. Our professors continue to prove that research isn’t only educational; it’s fun, too. Students in our Jasper Summer Research Scholars program spend their time off from school studying an area they’re interested in, such as video gaming, and then present on that topic in the fall at the College’s annual summer research symposium. In addition to year-round career counseling, the office of Career Pathways hosts several job fairs throughout the fall and spring semesters. These and other events help students identify professional interests, find internships, and meet leaders in their intended field. 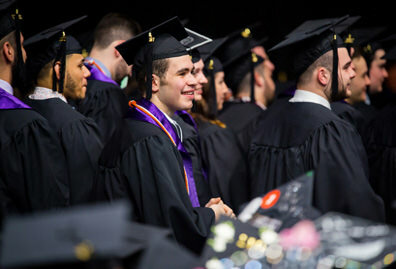 Before graduation, Manhattan College jobs available through work study and campus employment are here to help you pay for college and earn job experience. See a complete listing of campus jobs available now. 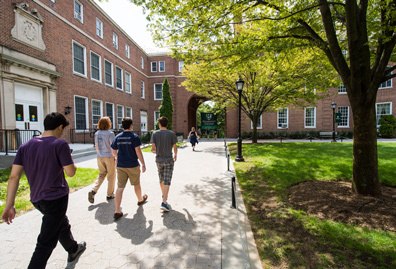 What you choose to study is only one part of your Manhattan College experience. Your Jasper memories come from the friends you make and the ways you interact with our campus.